In the second season of the TV drama Mad Men, young and rising advertising copywriter Peggy Olson lands the Popsicle account by comparing a mother’s act of taking a twin pop from the freezer, breaking it in two and giving it to her children to the ritual of sharing in the Sacrament of Communion. Sharing a Popsicle, she tells the executives, is not just something that you do in the summer heat, but a ritual that is enacted all year around. No matter if it came from the freezer or from the ice cream truck, each time you: take it, break it, share it, love it. Peggy’s character is Roman Catholic (in fact, in this episode she is working through a crush on her mother’s new young priest), and in that tradition the celebration of the Mass really is an everyday/every week ritual. Had Peggy attended a Presbyterian Church (my tradition) in this fictional 1960’s world, she might have celebrated Communion three times over the course of a year. When the Presbyterian Church moved to the practice of monthly Communion (my seminary worship professor used to tell us), people in the pews complained that if Communion were to be celebrated that frequently it would lose its meaning. It did lose its meaning; or rather, it gained a multitude of meanings as it became more and more a part of our regular spiritual practice. A shift also occurred, during my lifetime, to openly welcome children to participate in the sacrament of Communion no matter their age. I can remember the very first time I participated in Communion as a child, and the discussion I had with my parents that morning in preparation. Communion is unique in that it is not just a story that we tell or a service that we attend, but a fully sensory experience that we have together as a community. Clearly these are the kinds of experiences that can be especially meaningful to children. 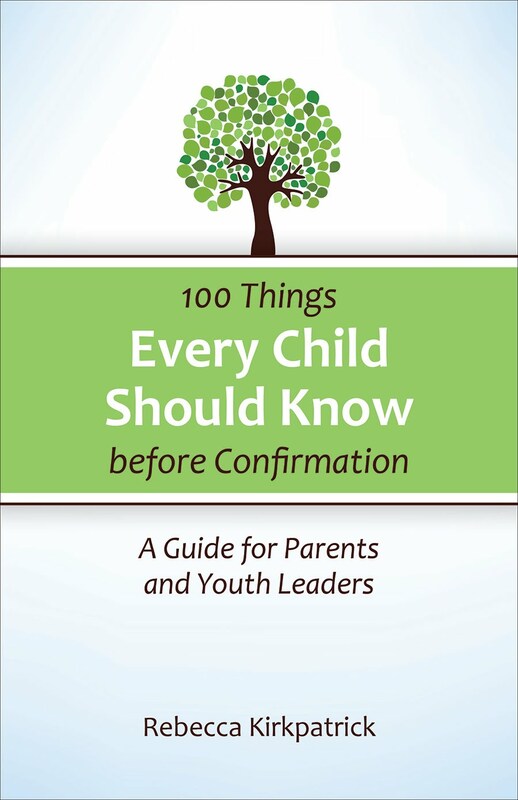 How can we make the Sacrament of Communion a memorable and meaningful ritual for children as they grow in their faith and in their understanding of their Christian identity? Here are some ways. 1. Allow your child to receive Communion. I work with parents who remember not being allowed to take Communion as a child, and who wonder if their child is old enough to participate in the sacrament. Often the standard for when a child is “old enough” is held to be the ability to understand the meaning of the sacrament. I am 36, and I continue to work on understanding what it means. Children come to understand the meaning of the sacrament best by actually participating in it. That being said, while there is no definitive age at which a child should start taking Communion, whenever a child does start we should make it a special occasion and actively talk about it ahead of time. 2. Read feeding stories from the Bible with children. Whether it is the story of the Last Super or the story of Jesus’ walk to Emmaus after the resurrection, the gospels provide a number of stories of Jesus sitting at table with his closest friends. From there one can branch out to other biblical feeding stories, such as the story of God feeding the Israelites with manna in the wilderness or the miracle of the feeding of the 5,000. Help children understand that Jesus ate with his disciples, friends and even strangers all the time. It is also helpful to connect our faith practices to stories from the Old Testament. The stories of the unleavened bread at Passover, Abraham entertaining angels outside his tent, or Ruth gathering grain to feed her family can be linked to Communion for children. One of the best children’s resources for this purpose (besides the Bible itself) is the book God Speaks to Us in Feeding Stories. 3. Make Communion something that you look forward to as a family. We in the church business keep track of which Sundays are “Communion Sundays,” but I am not sure how many others do. What if your family made an effort to remember when Communion Sunday was and to make it something that you looked forward to? This may sound a little strange, but I can speak from experience: all I have to do is mention to my son in passing that it is a Communion Sunday, and his eyes light up. There is something to be said for teaching children to prepare themselves for Communion not just the first time they participate, but every time. 4. Talk with your children during Communion, just as you would if you were taking them to their first baseball game.You wouldn’t make a child sit through an entire sporting event without helping them understand who is doing what when and why. Point out to them what is happening, who is saying what words and what they mean, what elements/objects are on the Communion table, how the pastor breaks the bread and pours the cup. Explain who is serving the congregation, whether is it pastors, elders or deacons. 5. Seek out ways for them to take communion in different settings/styles.In my congregation, our usual style of Communion allows the congregation to remain seated in the pews while the elements are distributed by the elders. But at certain times of the year (Lent, summer, Maundy Thursday) we choose to celebrate and share the sacrament in other ways. I always encourage parents to be sure to include children in those different moments, because the uniqueness of it will make it even more memorable. Take it, break it, share it, love it. 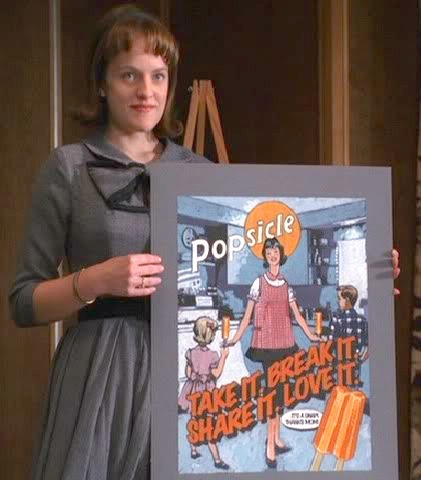 What I like most about Peggy Olson’s comparison between sharing a twin pop and sharing Communion is the joy that it invokes. Too often Communion is treated as a somber event, but in truth it is the joyful feast of the people of God. And nothing is more joyful than sharing Communion with a child. As I mentioned above, during the season of Lent my congregation celebrates Communion a little differently than usual. We invite folks to come forward to tear off a portion of bread and dip it into the common cup. Not only is the moment I kneel down to help a child take Communion a meaningful one, but also the breaking and sharing that happens after the official end of worship when the children race forward to the table to continue the meal by sharing in the leftover bread and juice. On one Wednesday night that I will never forget, a very precocious toddler came up to the gathering to have her second portion. Finding the chalice already drained, she took her fist-full of bread and plunged it entirely into the pitcher. She pulled it out, her hand dripping with juice, and as she took a huge bite purple streams ran down to her elbow and her chin. What better image of joy and abundance could there be? May our children remember breaking and sharing in the bread and cup with as much fondness as they remember the cold, sticky stains of the first grape popsicle of the summer. I love this! What a wonderful image and a wonderful story to be able to tell her as she grows into her faith. Thanks for sharing. Wonderful post and I couldn't agree more! My children both had communion on the day they were baptized and never remember a time when they weren't welcome at the table. I always think of the way my son used to lean out of my arms to watch the priest work his way down the line as he joyfully waited for communion. Thanks for this great post! When I was growing up children weren't allowed to participate in communion, so I didn't take it until I was in my 30's. When my son was quite young (about 6) he asked about communion, I told him he could participate once he understood what it was all about, but that he was too young at the time. He decided to fix that. The next time we attended church and the table was set for communion he sat with another family. When the elements were being served, he told the other parents that Mum had said he could participate - so they couldn't stop him. On being asked, he said that everyone who loved Jesus was welcome to participate. That was the very last time that I have not allowed children to participate. Now I am a Minister, I make sure that everyone is invited to the table, even the youngest child. When I am asked, I say that children are able to participate as soon as they are able to grab the bread from the plate as it is being passed around. Do you mind if I use your example "Take it, break it, share it, love it" for my children's time on this World Communion Sunday? Please use this! It is a great image for children. World Communion Sunday was one of my favorite, because we kept all of the children in worship to share in the sacrament...I love hearing their chatter while the elements are being passed around. thank you, unfortunately the children won't be staying for the actual communion part, they will be off in Sunday school sadly. I was thinking of using a chocolate bar to make the take it, break it, share it, love it part fun for the children. And ask them how they feel when they share? My nine year old always says it makes him feel good to share with others. And then I thought I would compare how God shared his greatest gift when he gave us his only son. I hope I do okay. I really think children should be allowed to join in communion - as it is said "All are welcome at my table" and I don't recall there being an age of majority mentioned. :) Thank you and God bless.